Photo wallpaper - Go fishing! Go fishing! Go fishing! Sport that is passed down from grandfather to grandson is still alive! That’s where its beauty is hidden. What do we need to make a day productive? We need a good fishing rod, a float and a tried and true fishing lure. It’s time for preparation! Will the student surpass the master? 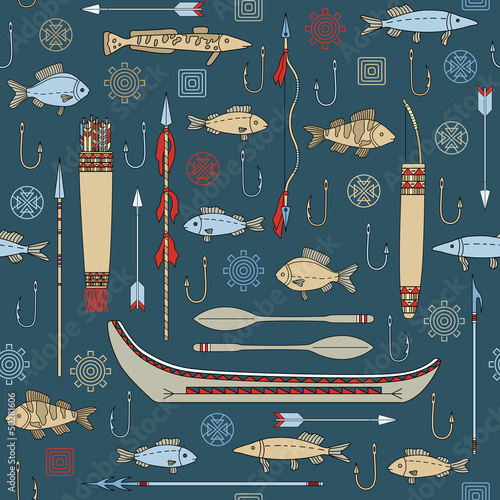 A photo wallpaper with a fishing motif will be an amazing addition which will enliven boy’s room.